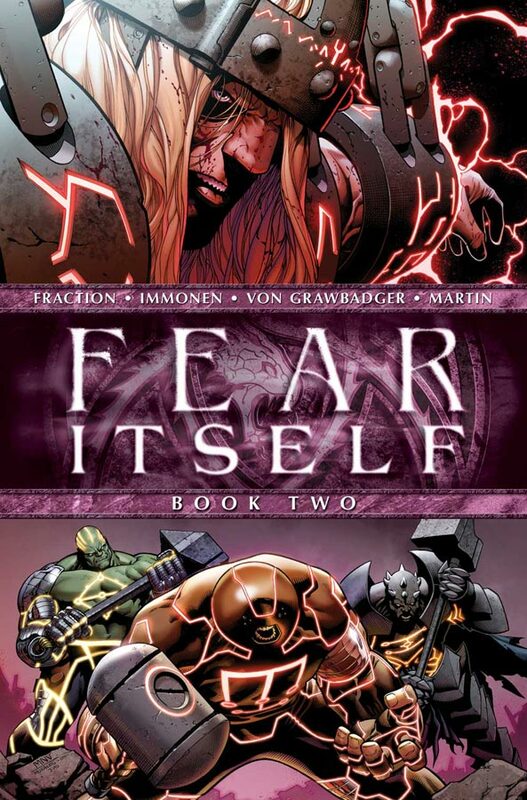 Here is my main complaint with Fear Itself #2: We go from hammers crashing into the world and a few heroes touching them and transforming, to the whole USA being in utter chaos with Washington DC in flames in a matter of pages. There is little to no explanation of how things got so bad so fast other than some speech bubbles representing various radio stations alerting us to emergencies and problems. Okay, apparently a few super-folk with hammers and some Nazi-machines can bring America to its knees? Matt Fraction, you are a great writer, no, an amazing writer. You have some delightful series coming out, what is with this weak story? At least Fear Itelf has beautiful art. Also, the opening with Odin acting like a total jerk talking about the serpent coming back makes little to no sense, but I think that is intentional as we the reader are supposed to be in the dark a bit about this whole serpent business. Still, this is pretty much a comic of a bunch of heroes or villains touching hammers, gaining powers that make them go crazy, and the good heroes standing around seeming to do nothing while a bunch of speech bubbles describe how bad everything is getting and bitching about, "Where are the Avengers?" The whole story is just weak and seems to be full of holes, as if we are missing a chunk of story pages. The positive to this big helping of iffy storytelling? The art is quite pretty. 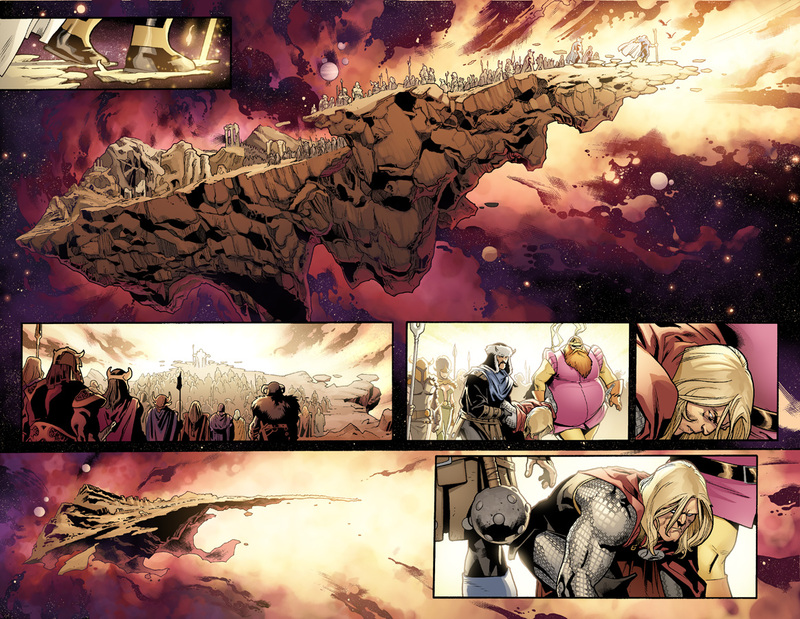 Stuart Immonen knows how to draw big explosions and super-heroes wielding huge hammers, there is no question of that. 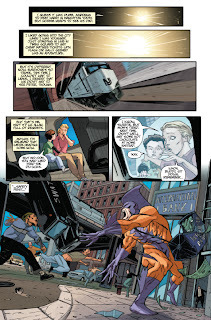 Perhaps the problem is that this comic is focused on the "event" aspect of Fear Itself, a more personal-story focused comic such as Fear Itself: The Homefront has got to be better right? Oh, you poor demented fool. 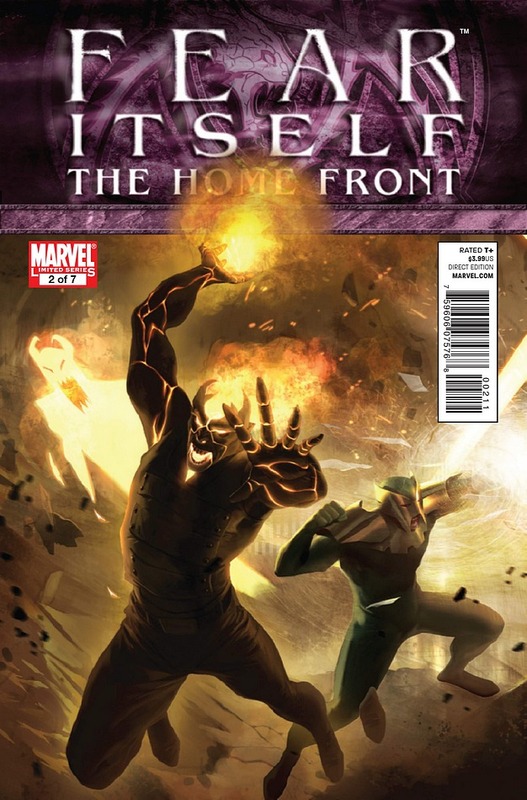 Fear Itself: The Homefront #2 is a hodge-podge of stories. I really enjoy the first one written by Christos Gage, and the art supplied by Mike Mayhew is very intriguing and realistic while at the same time not being unnerving. 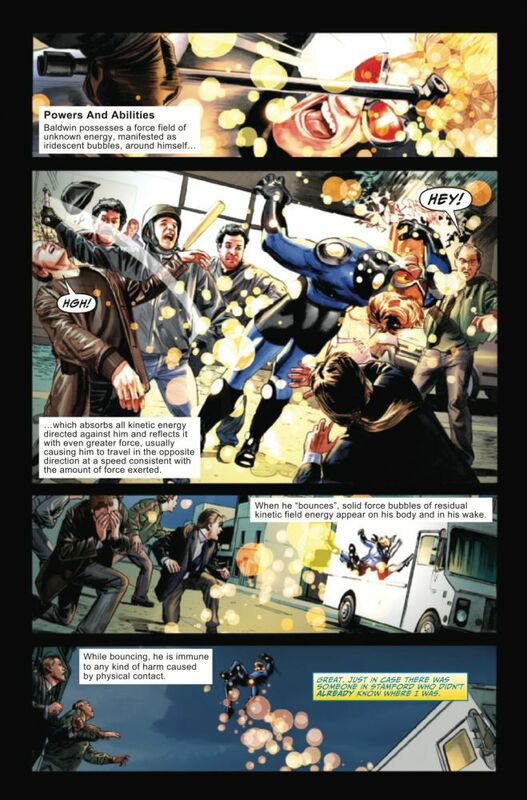 The story is pretty much about how the people of Stamford want to kill Speedball even though he is trying to protect them from escaped villains (who broke out of prison thanks to those hammers in Fear Itself). There is an interesting bit where someone points out that whether good guys or bad guys, all the heroes are just sort of pounding their chests to try and show the other up--possibly a bit of a meta-commentary on super-hero comics today. Sadly, this story is followed by the abysmal Jimmy Woo one, where the Agents of Atlas are written wholly out of character with Woo as someone who is overly paranoid and obsessed with the past when not being strangely violent, and Namora is some kind of love-sick puppy. The whole thing is just a mess and I can't believe someone as talented as Peter Milligan could have written tripe like it. The other two stories are a fun one-pager by Howard Chaykin where we spend some time with a character I always enjoy reading, The Purple Man, and future stories with him are set up quite well--too bad its just a single page of a story. 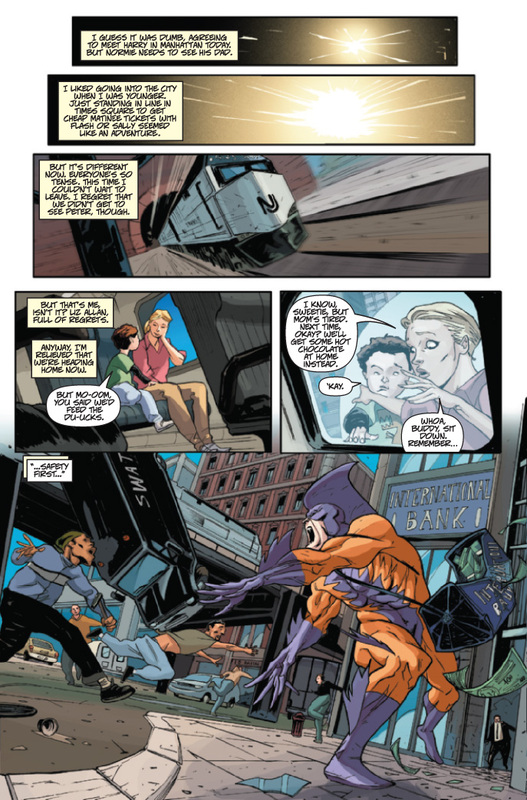 After that we have some annoying story with Liz Allan (I could have sworn it was Allen, but whatever) and her son, where as NYC falls apart in sheer panic (which apparently just sort of started happening world-wide as Fear Itself #2 didn't explain that well either) she has to talk down a dangerous man on the subway. Yeah, it's as uninteresting as it sounds. These four stories come together to make a package that consists of only one full-length tale I really liked, a one-pager I enjoyed, a long tale I absolutely hated, and another story I couldn't have cared less about. Not too amazing a deal. Overall I found the latest Fear Itself issue pretty underwhelming, and was equally let down by the second issue of Fear Itself: The Homefront. 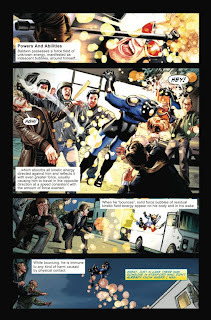 Hopefully things will improve in future issues, with Fear Itself getting its pacing and storytelling down better, and with Homefront wrapping up the atrocious Jimmy Woo story and adding in some more interesting ones to go with the good Speedball yarn. 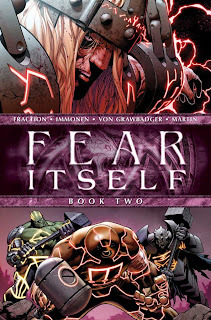 If you read Marvel comics you kind of need to be reading Fear Itself as so many comics will be involved with it, but maybe if it is possible just flip through it at your local comic book store and then so the retailer doesn't get angry buy two other comics, like Casanova for something amazing by Fraction, and pretty much anything by Immonen for some great art. Yeah, that's a much better game-plan at the moment.